I must confess that my instinctive response was a kind of revulsion when I first learned that the BBC had conducted another interview with Steve Wozniak, the oft-overlooked co-founder of Apple Computer Inc. Perhaps due to unrecognized prejudices acquired through years of reading mainstream tech journals, the words "attention seeker", "has been", and "indolent slob" immediately came to mind. But after watching the full interview and subsequently reviewing some of the 'official histories' of the Apple Empire, I was forced to re-evaluate my opinion of him. Little about Wozniak's personality has changed since the late 1970s. He has apparently always stood for something very different from what the 'other Steve' stood for, and he has made no secret of this. 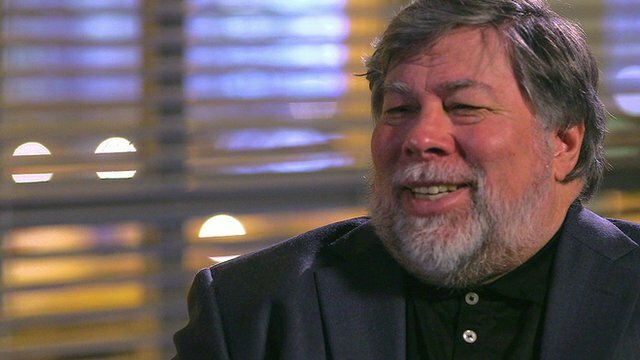 Wozniak, the hacker, the engineer, the applied scientist, is in love with creative discovery, the moment when an idea can be actualized in reality. Steve Jobs was not. Jobs, the mascot, the salesman, the manager, was in love with image. He saw the world in terms of marketing, in terms of what kind of fantasy he could sell to an unknowing consumer. Decades later, we see which worldview has won out. The sad fact is that this 'victory' might signal the end of the tech industry. When product image or consumer perception becomes the overriding consideration (as it has been at Microsoft),there is little incentive for real technological innovation. Why actually create a new product, when you can just pretend to create one — and successfully sell it as such? For many years now, real innovation, real R&D, has been atrophying and disintegrating. The solution at this point is not more marketing, but less. Much, much less. He apparently didn't support Ashton Kutcher (the #1 tech clown) while the production of that silly jOBS film was ongoing. He even (rightly) suggested that Kutcher was responsible for the critical failure of the film : "I suspect a lot of what was wrong with the film came from Ashton's own image of Jobs," Wozniak said in a review he wrote for Gizmodo. He is so opposed to the broadband internet "monopoly" in the US (and the resulting fact that the US has some of the slowest internet speeds in the world),that he refuses to install a broadband internet connection in his own home. And he has even made the unpopular decision to try to obtain Australian citizenship, so that he can, among other things, benefit from that country's forthcoming National Broadband Network. Wozniak clearly values fundamentals over image, and he's one of the few of his kind left. He is now an industry 'outsider', yes — and rightfully so. If he had been on the 'inside', he would not be able to provide the needed reform. I suggest we all start listening to him a bit more closely. The future of the tech industry may depend on it. 10 PRINT "I LOVE YOU"
Can't on Woz. Hate on Steve all day, but not this guy! Nice little reminder of what Apple could have been. Remember BASIC on those Apple II's? Anyone?